The miniaturization of components for the benefit of notebooks has had a knock-on effect for desktops. Using some of the same components, desktops can be made a lot smaller too, or even designed to fit behind a screen for an all-in-one system. The Dell Optiplex 3020 Micro is almost a notebook without a screen, but if you want a tiny no-nonsense system that will be almost invisible on a desk, or even fitted underneath, there is plenty to commend it. The Dell Optiplex 3020 Micro's name is a little confusing, because there are actually two larger Optiplex 3020 models; only the word Micro denotes the rather different specification of this system. Measuring just 18.2cm along its longest edge, and weighing a paltry 1.28kg, the Micro is much smaller than the Minitower and Small Form Factor versions of the 3020. It's designed to sit flat on your desk, or an optional stand can be used to stand it vertically. 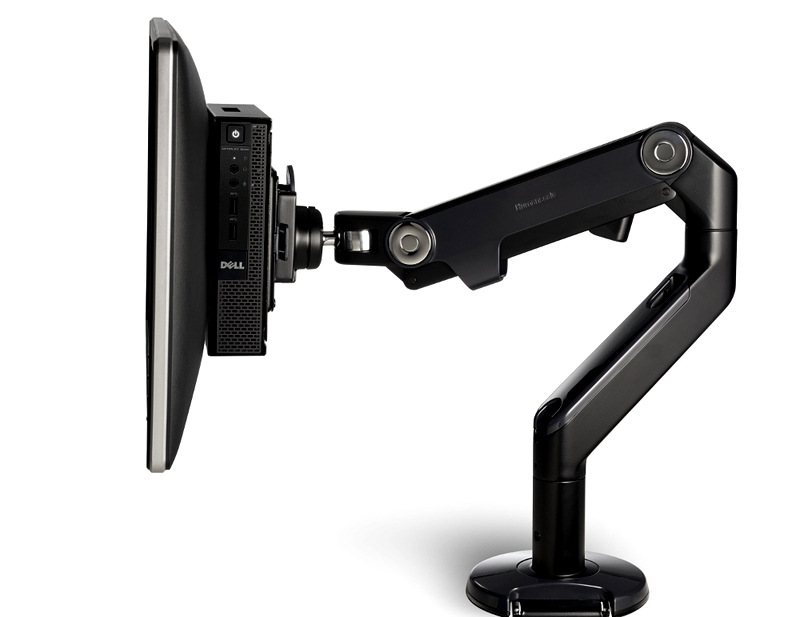 There are VESA mounting options too, plus an all-in-one mount and a console including a DVD rewriter. There are also only two processor choices -- Intel Pentium and Intel Core i3. Our sample came with the more expensive latter. The Core i3 in question is a 4150T from the fourth Haswell generation. This is a low-power 34W version of the 4150, so runs at 3GHz rather than 3.5GHz, and no Turbo Boost mode is available to provide a lift when required. The Core i3 is a dual-core processor, and unlike the Pentium supports Hyper-Threading, allowing the two physical cores to present themselves as four virtual ones, for enhanced processing of parallel tasks. The Core i3 is partnered with 4GB of 1,600MHz DDR3 SDRAM, which is the bare minimum these days, and there is no option for more. The processor also supplies the graphics in the shape of Intel HD Graphics 4400, which is a small step up from the HD Graphics 4000 of Ivy Bridge, but not the huge leap between that and HD Graphics 3000 found in Sandy Bridge. Whilst 3000 has 12 execution units, and 4000 has 16, 4400 moves up to 20. However, whilst 4000 can be around 2.5 times faster than 3000, 4400 is more like a 30 per cent improvement over 4000. The Core i3-4150T's 1.15GHz version of 4400 will get most of this benefit. The new HD Graphics have DirectX 11.1 support, too, alongside OpenGL 4, Shader Model 5, and OpenCL 1.2. The Optiplex 3020 Micro takes a fairly minimal approach to storage. In fact, the only storage device included is a 500GB Toshiba 7,200rpm SATA hard disk with a 2.5in form factor, making it of the notebook variety. This will be ample for a general-purpose PC, even if it won't have the performance benefits of a solid state disk, and there's an M.2 expansion port available inside for fast SSD attachment. However, there's no room in this minuscule chassis for an optical drive of any sort, and it's a shame that Dell didn't shoehorn a Flash memory card reader in either, which is always a handy thing to have available. Fortunately, a wealth of ports is on hand for attaching external devices. The front is home to single USB 3.0 and USB 2.0 ports, plus separate minijacks for headphones and a microphone. The rear hosts another USB 3.0 and three more USB 2.0 ports, alongside a full-sized DisplayPort, VGA, and Gigabit Ethernet LAN, as well as the connection for the external 65W power supply. The Optiplex 3020 also has built-in 802.11ac Wi-Fi, which is the latest standard, with a large removable aerial screwing into the rear of the system for optimum reception. So you don't need to place this machine near a wired Ethernet port to get it on the network. The Intel Wireless-AC 7260 chipset providing the Wi-Fi also supplies Bluetooth 4.0 LE connectivity. With its relatively low-end Intel Core i3, the Optiplex 3020 Micro is no powerhouse. In fact, it performs like a fast ultraportable in most tests. The rendering scores of 3.15 and 300 in Maxon Cinebench R11.5 and R15 respectively would be good for a thin and light notebook, but are towards the lowest end for a desktop. Likewise, the Cinebench OpenGL results of 15.38 and 19.19 in R11.5 and R15 are decent for integrated graphics, but most systems with a discrete graphics card would be far quicker. The results of 733 in Futuremark 3DMark11 and 492 in the Firestrike 1.1 test of 3DMark continue this trend, but at least the Optiplex 3020 Micro finished all our graphics tests without issue. While it may be relatively slow, if you run software that does need 3D acceleration it will at least function. You are unlikely to purchase a system like this for any kind of graphics-intensive activities anyway. It's therefore reassuring that the Optiplex 3020 Micro is decently capable with the everyday tasks simulated by Futuremark's PCMark 8 Home and Work tests. The scores of 2,280 and 3,277 respectively show the system will cope well with videoconferencing, web browsing and office applications, although it's no powerhouse here either. On the whole, the Optiplex 3020 Micro performs essentially as expected given its minuscule size, but is significantly ahead of the Intel Atom-based micro PCs that have arrived on the market over the last few years, and much more capable of handling real business workloads. 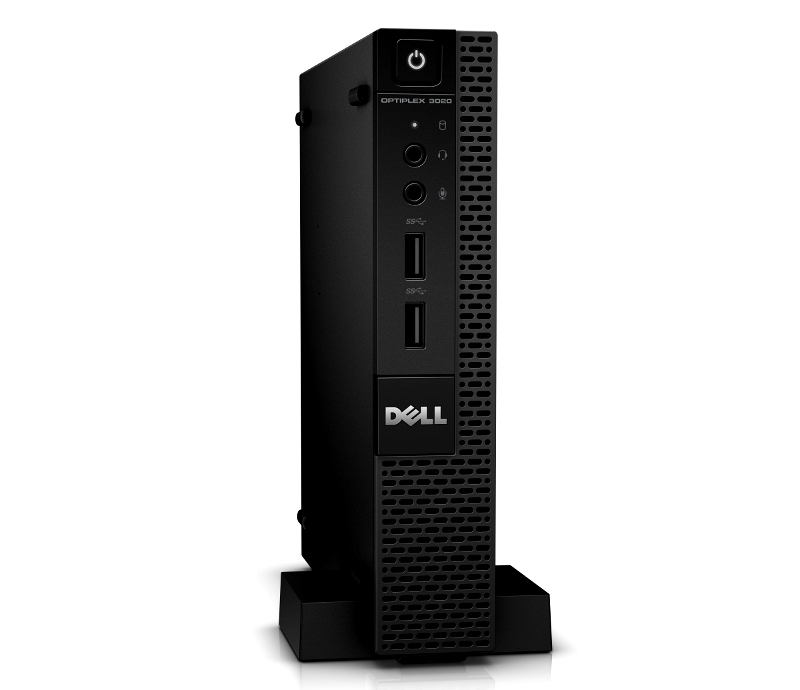 There's nothing particularly revolutionary about Dell's Optiplex 3020 Micro. It has been possible to cram most of the necessities of a PC into a box this size for some years now. It's also not going to be sufficient for anyone who has a need to use graphics applications with any intensity. However, this is a cheap system for employees who don't need more than office software and Internet capabilities. 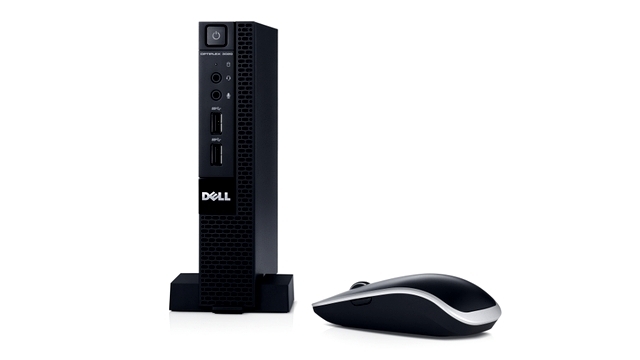 The price includes a standard Dell mouse and keyboard, too. There's a TPM chip built in for hardware-based security, and Windows 7 Professional is supplied so the system can fit into a corporate network with full remote manageability. 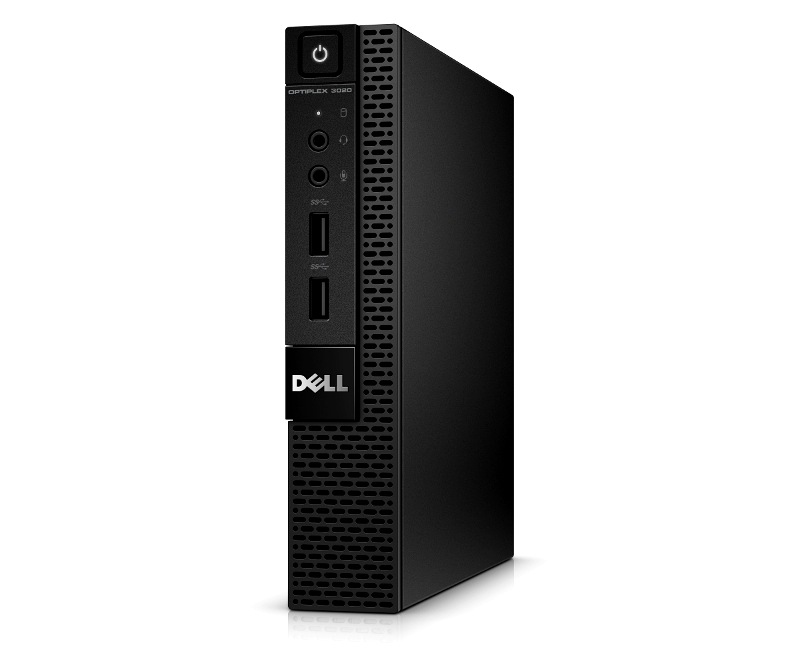 Overall, it's not the machine for every employee, but where your business computing needs to be cheap and discrete, the Dell Optiplex 3020 Micro could make good sense. Interfaces 2 x USB 3.0, 4 x USB 2.0, DisplayPort, VGA, headphone, microphone, LAN.